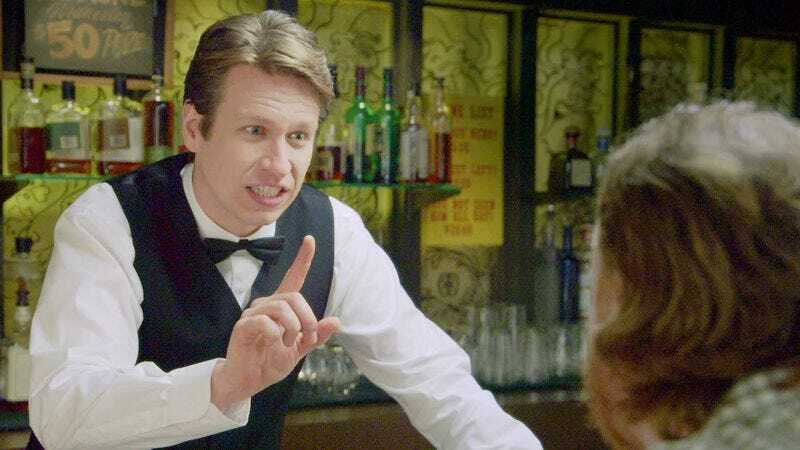 Pete Holmes will no longer keep it crispy in late-night: TBS has announced that The Pete Holmes Show will end its run on June 19. Premiering last October, The Pete Holmes show filled the midnight, post-Conan vacancy left by the 2011 cancellation of Lopez Tonight. (Holmes is at least getting more advanced notification than George Lopez, whose show aired its final episode the day after it was canceled.) While Holmes hasn’t re-invented the talk-show wheel, his eponymous show has functioned as a late-night series that’s ready for the Internet age, boasting freewheeling, podcast-like interviews and led every night by digital-shorts-style sketches like Ex-Men, in which Holmes’ Professor Xavier summarily fires every mutant under his tutelage. Fans of soon-to-be-departed The Pete Holmes Show can take comfort in the fact that Holmes will continue flexing his interview muscles on the podcast You Made It Weird, a program in which Holmes and Holmes alone dictates when he’s finished talking. Judging by the length of the average episode, that won’t happen for quite some time.